That is an Aermotor LS-60 fire tower, constructed in 1932. For an eighty year old structure, it is a remarkably good shape. 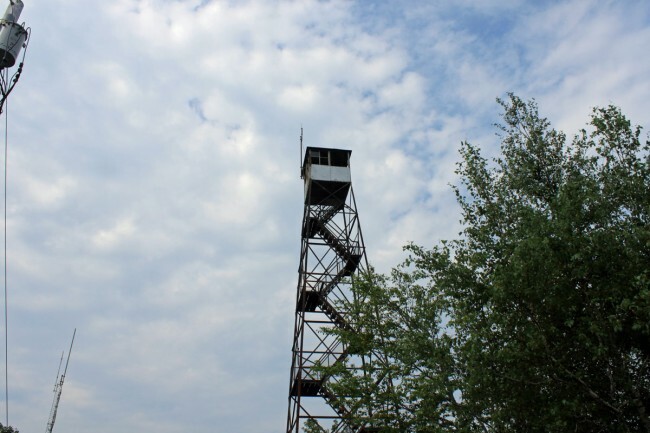 In New York State, fire towers were used for spotting up until 1990, although I believe the last season this one was used was 1988. 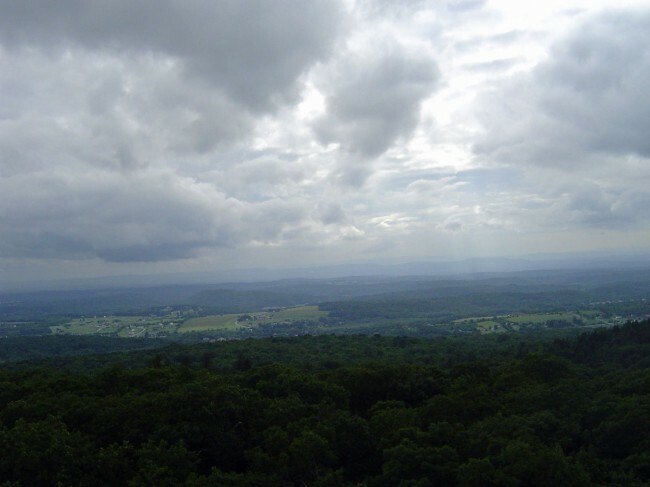 Clove mountain is about 1,400 feet above sea level and 800 to 1000 feet above the surrounding terrain. 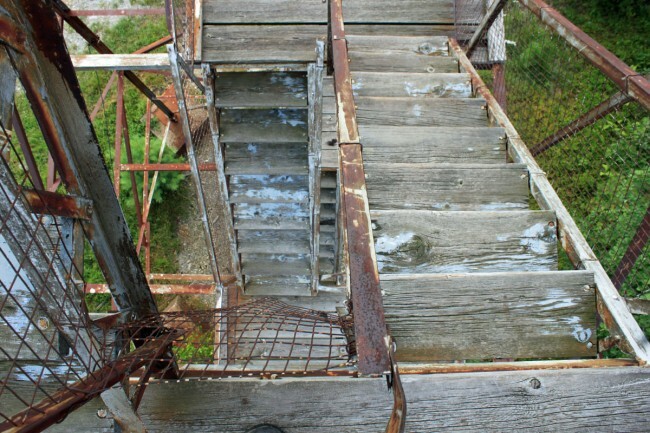 From the top, on a clear day, the view was approximately 30-45 miles depending on terrain obstacles. A forest ranger would be constantly scanning the area looking for signs of fire. If he saw something, there was a range finder that would give the range and azimuth. He would then reference a map and call the fire department responsible for that location. 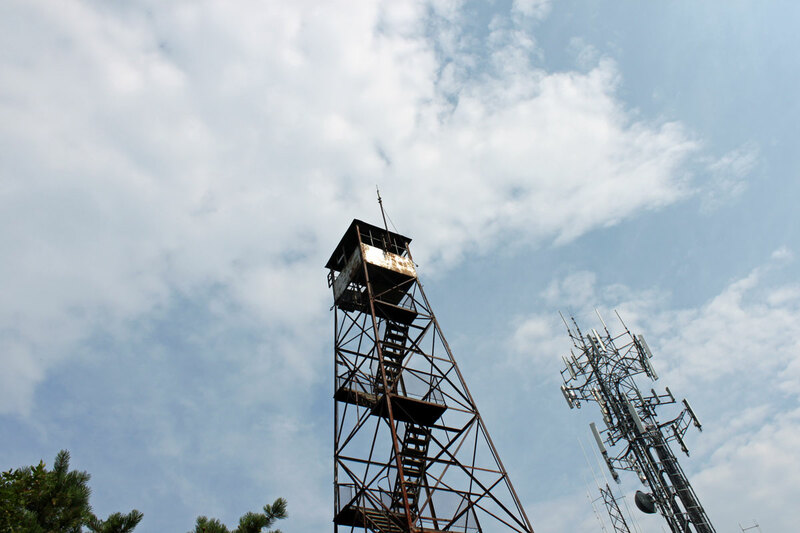 The fire tower was equipped with electric and a wired telephone. This picture was taken on a cloudy day, thus the view is somewhat restricted. It would be nice if this were preserved and not allowed to deteriorate any further. Several of these sites have been placed on the National Register of Historic Places. Below the tower is this ranger cabin. Presumably, during the busy season somebody stayed up here 24/7. There was electricity and a refrigerator, but no running water. Off to the side is a bedroom. 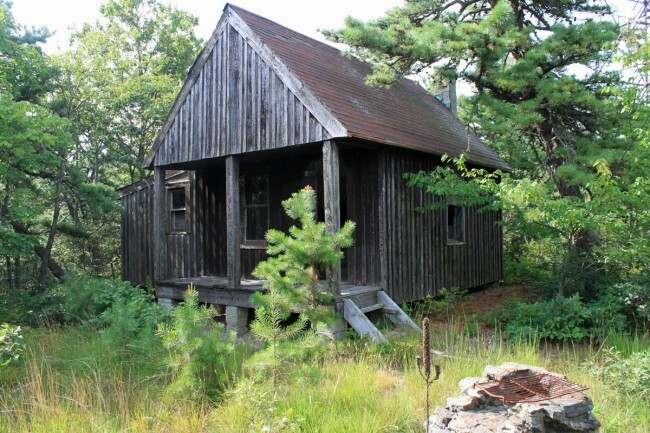 Over the years, people have broken into the fire tower and this cabin and smashed things for no reason. It would be nice to preserve all of this for future generations to see, but it is likely these pictures will have to do.